Garland's Carnegie Hall concert was considered a rampant success by all in attendance. It’s “Never Say Never” from a different generation. 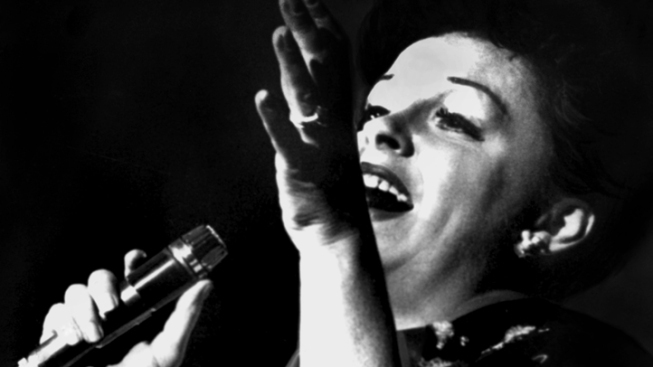 Filmmaker Steven Lippman, along with “Howl’s” Jeffrey Friedman and Rob Epstein are collaborating on a new film chronicling Judy Garland’s famous 1961 Carnegie Hall concert, the Los Angeles Times reports. Though there isn’t footage of the actual concert, the filmmakers are trying to capture the night as an experience, rather than documenting the performance. "It's loomed so large that it's easy to forget that this was something that happened in a kind of immediate way," Friedman said. Garland, of “Wizard of Oz” fame, took to New York’s famed Carnegie Hall after struggling with substance abuse for some time, to the acclaim of all in attendance, from the media to celebrities at the time. The film, called “Stay All Night,” will feature interviews of concertgoers and audience members. Audio from the show will also be used. The filmmakers hope to bring the feeling of Garland’s performance, some 50 years later.